ICES, (2015). Report of the Working Group on Biodiversity Science (WGBIODIV), 9–13 February 2015. ICES, ICES Headquarters, Copenhagen, Denmark, p. 308. Skinner, J., Bailly, D., Le Coz, M., Dodds, W., Fletcher, S., Glegg, G., Glenn, H., Herry, L., Molfese, C., Sewell, J. and McQuatters-Gollop, A., 2014. Pathways for effective governance of the English Channel. Sir Alister Hardy Foundation for Ocean Science, Plymouth, UK, p. 50. Scherer, C., Gowen, R.J., Tett, P., McQuatters-Gollop, A., Forster, R., Bresnan, E., Cook, K., Atkinson, A., Best, M., Baptie, M., Keeble, S., McCullough, G., McKinney, A., 2014. Finalising and implementing the development of plankton indicators and targets: Operationalising the Lifeform and State Space Method. Workshop report to Defra. Agri-food and Biosciences Institute, Belfast, p. 32. Gowen, R.J., Tett, P., McQuatters-Gollop, A., Forster, R., Scherer, C., Bresnan, E., Cook, K., Atkinson, A., Best, M., Baptie, M., Keeble, S. and McCullough, G., (2013). Part One of the UK Marine Strategy for the Marine Strategy Framework Directive: Plankton indicators: Development of the Life-form and State-Space Method. Defra, Belfast, 27 pp. McQuatters-Gollop, A. and Johns, D., 2012. Scotland’s Biodiversity Indicator – Plankton. Scottish Natural Heritage, 8 pp. McQuatters-Gollop, A., Johns, D.G., Dowland, P., Edwards, M. (2011). Digitization, analysis and interpretation of plankton data for pre-1914 ICES sampling in the North Sea and adjacent waters: final report March 2011. SAHFOS, Plymouth, 20 pp. Gowen, R.J., McQuatters-Gollop, A., Tett, P., Best, M., Bresnan, E., Castellani, C., Cook, K., Forster, R., Scherer, C. and Mckinney, A., 2011. The Development of UK Pelagic (Plankton) Indicators and Targets for the MSFD. Advice to Defra. Belfast, UK, 41 pp. Celine Byrne (with Abigail McQuatters-Gollop), (2011). A new addition to the online offering: ICES Historical Plankton Dataset, ICES Inside Out vol 5. ICES, Copenhagen, pp. 1. Johns, D.G. and McQuatters-Gollop, A., (2011). Natural Heritage Trends – Plankton in the seas around Scotland – 2010 update. Scottish Natural Heritage, 5 pp. McQuatters-Gollop, A., Burkill, P., Beaugrand, G., Edwards, M., Gattuso, J.-P. and Johns, D.G., (2010). Atlas of Calcifying Plankton: Results from the Continuous Plankton Recorder Survey. SAHFOS, Plymouth, UK, 20 pp. McQuatters-Gollop, A., Edwards, M., Reid, P.C. and Johns, D., (2010). A marine assessment and monitoring framework for application in UKMMAS and OSPAR, for phytoplankton and zooplankton. Report to the Joint Nature Conservation Committee from the Sir Alister Hardy Foundation for Ocean Science. SAHFOS, Plymouth, 44 p.
Edwards, M., Beaugrand, G., Johns, D.G., Licandro, P., McQuatters-Gollop, A. and Wootton, M., (2010). Ecological Status Report: results from the CPR survey 2009. SAHFOS Technical Report, 7: 1-8. Reid, P.C., Edwards, M., McQuatters-Gollop, A., Beaugrand, G., Bresnan, E., Brierley, A., Davidson, K., Delany, J., Eloire, D., Forster, R., Fox, C., Frederiksen, M., Gowen, R., Halliday, N., Hardman-Mountford, N., Hátún, H., Hay, S., Hartman, S., Helaouët, P., Johns, D., Kirby, R., Lampitt, R., Larkin, K., Licandro, P., Lindley, A., Lucas, C., McCollin, T., Miller, P., Milligan, S., Mills, D., Pitois, S., Prior, A., Rees, A., Smyth, T., Smythe-Wright, D., Stevens, D. and Widdicombe, C., (2010). Biological indicators of state: the plankton, Charting Progress 2: An Integrated Assessment of the State of UK Seas. Defra, London, UK, 69 pp. Edwards, M., Heath, M. and McQuatters-Gollop, A., (2010). Plankton, MCCIP Annual Report Card 2010-11. MCCIP Science Review, pp. 10. Langmead, O., McQuatters-Gollop, A., Mee, L.D., (2010). The socioeconomics behind ecosystem collapse: the case of the Black Sea. Science for Environment Policy: DG Environment News Alert Service, Special Issue 22: 1. McQuatters-Gollop, A., (2009). Regional policies needed to tackle eutrophication in Europe’s seas. Science for Environment Policy: DG Environment News Alert Service, 154: 1. McQuatters-Gollop, A., Johns, D. and Edwards, M., (2009). The Continuous Plankton Recorder. Exploring the Marine Environment. Bulletin of the British Ecological Society 2009, 40: 10-11. Edwards, M., Beaugrand, G., John, A.W.G., Johns, D.G., Licandro, P., McQuatters-Gollop, A. and Reid, P.C., (2009). Ecological Status Report: results from the CPR survey 2007/2008. SAHFOS Technical Report, 6: 1-12. Reid, P.C., Bathmann, U., Batten, S.D., Brainard, R.E., Burkill, P.H., Carlotti, F., Chiba, S., Conversi, A., Dickson, R.R., Dooley, H., Edwards, M., Flinkman, J., Fukuchi, M., Goes, J., Goni, G., Greene, C.H., Hare, J.A., Hays, G.C., Head, E., Hood, R.R., Hosie, G., Hunt, B.P.V., John, A.W.G., Jonas, T.D., Jossi, J.W., Karlson, B., Kuh Kim, Kirby, R.R., Kitchener, J., Kobayashi, D., Lakkis, S., Llope, M., Lopes, R.M., MacDiarmid, A., McQuatters-Gollop, A., Malone, T., Matondkar, P., Muxagata, E., Pershing, A., Richardson, A.J., Robertson, D., Robinson, K., Sartimbul, A., Stenseth, N.C., Sugisaki, H., Stevens, D., Berghe, E.V., Verheye, H., Vezzulli, L. and Ward, P., 2009. A Global Continuous Plankton Recorder Programme, OceanObs09, Venice, Italy, pp. 12. Reid, PC, Cook, EJ, Edwards, M, McQuatters-Gollop, A, Minchin, D and McCollin, T (2009) Marine non-native species in Marine Climate Change Ecosystem Linkages Report Card 2009. (Eds. Baxter JM, Buckley PJ and Frost MT), Online science reviews, www.mccip.org.uk/elr/non-natives, 28pp. McQuatters-Gollop, A. (2008). Harmful Algal Blooms and fishery product safety. FAO. 10 pp. McQuatters-Gollop, A., Johns, D.G., Halliday, N. and Edwards, M., (2008). Fish Larvae Project: Progress Report Contract MF1101. SAHFOS/Defra/Cefas, Plymouth, 28 pp. McQuatters-Gollop, A., (2008). Climate exacerbates eutrophication in the North Sea. Marbef Newsletter, 8: 17-18. McQuatters-Gollop, A., (2007). The synergistic effects of climate and eutrophication in the North Sea. GLOBEC International Newsletter, 13: 10-11. McQuatters-Gollop, A., Raitsos, D.E., Edwards, M., Pradhan, Y., Mee, L.D., Lavender, S.J. and Attrill, M.J., (2007). Climate exacerbates eutrophication in the North Sea. IMBER Update, 7: 3:4. McQuatters-Gollop A., and L.D. Mee. (2007). Eutrophication in the Black Sea, p 20. World Resources Institute. Reid, P.C., A. McQuatters-Gollop, D. Johns and M. Edwards (2007). Macroscale patterns in phytoplankton and Harmful Algal Blooms in UK waters based on Continuous Plankton Recorder data. UK Environment Agency contract report. Edwards, M., Reid, P.C., McQuatters-Gollop, A., Helaouet, P., Kirby, R. and Frederiksen, M., (2008). Indicator review for pelagic ecosystems (phytoplankton and zooplankton): Report to the Healthy and Biologically Diverse Sea Evidence Group (HBDSEG). Sir Alister Hardy Foundation for Ocean Science, Plymouth, UK, 22 pp. Langmead, O., A. McQuatters-Gollop and L.D. Mee (Eds.). (2007). 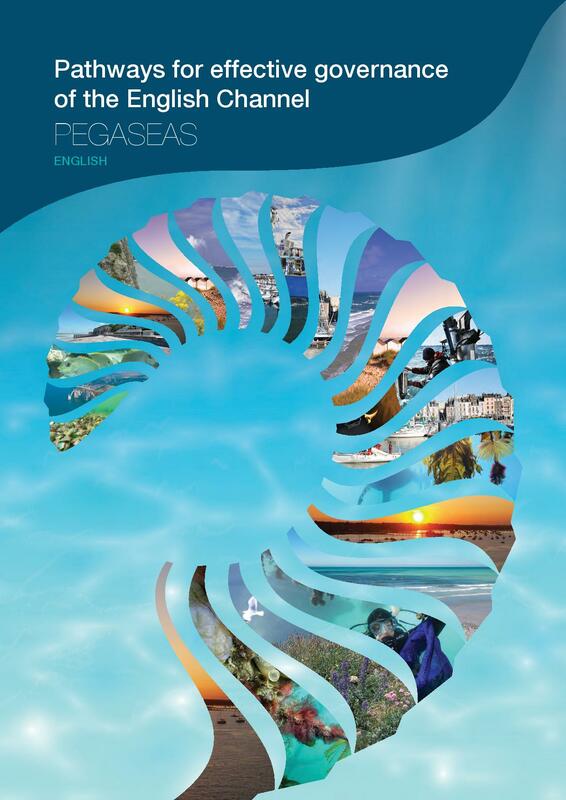 European Lifestyles and Marine Ecosystems: Exploring challenges for managing Europe’s seas. 43pp. University of Plymouth Marine Institute, Plymouth, UK.